If you are looking for online marketing and selling then be ready to explore the unique e- commerce solutions offered by us. We create new e-com solutions or develop your existing business and generate more value in international and domestic markets. We make up your business site to attract more customers via online platform and get more credibility and superiority in competitive market. Approach us to get more revenues in less operating costs in short time. 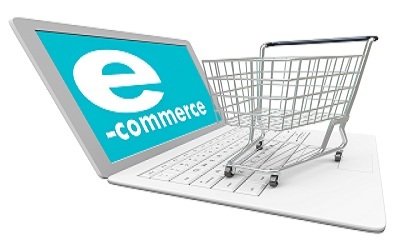 We consider minute things while offering e-commerce solutions to set up your online store and see your growing business and clientele relationships. Today online marketing and online shopping and everything are performing through online and nearly 80 percent of online users are using internet for online shopping. It is also known fact that more than 50 percent of consumers prefer to shop online to save their time and travel cost. And also they believe that they get more varieties at online shopping and many companies prefer to move towards ecommerce solutions to attract their customers. Our experienced team of e-commerce professionals is passionate to generate innovative e-com solutions to meet the challenges in present online marketing sector. We not only maximize your business growth but also enhance the users experience with easy navigation and user friendly solutions. We mix up your business goals and our creative vision to get the comprehensive and extensive final output. Our e-commerce solutions company at Hyderabad leverage to work on your brand identity and deliver impressive web experience with different tools like e-marketing, e-selling, e-service, and e-analytics. Create your own catalogues, brochures and online business campaigns through our expertise advices. Our core e-com team is proficient in delivering wide range of e- com solutions like how to quote, how to order, how to manage pricing and contacts and how to do interactive pricing and web auctions. We also take you to next level by optimizing your performance that created on your own web presence..